Crown Pools is a proud dealer of Doughboy Pools because of their reputation for top quality above ground pools. 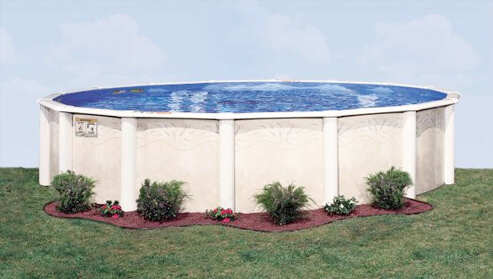 With a variety of sizes, shapes, and patterns to choose from, Doughboy Pools are sure to enhance any backyard setting. 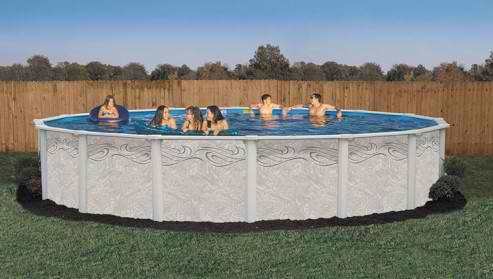 Within just a few days of purchase, your above ground pool can be swim-ready for you and your guests to enjoy! 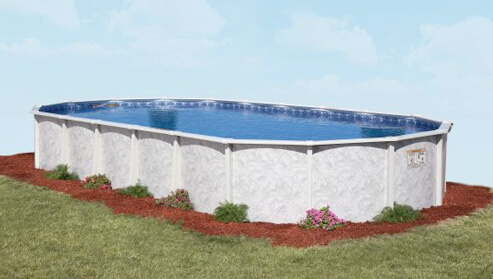 A silver-tone pool frame blended with a unique pool wall pattern creates a pool designed to fit any backyard. Rugged 8″ top rails and 7″ verticals in a silver-tone color. Available in hybrid or resin. Available in 54″ pool wall. Space Saver Oval Support System allows larger pools to fit into smaller backyard settings. Plus, it is easy to install. 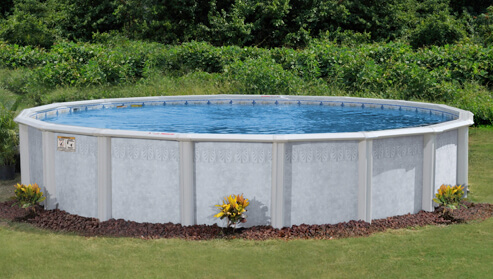 The Summerville Pool – A stylish wall pattern with a rugged silvertone frame makes a sturdy pool that’s fun and fits in any backyard. Beautifully Crafted Top Rails & Vertical Supports The 6″ top rails and 3″ verticals eliminate the need for separate side and end rails making assembly even easier. Com-Pac II™ Oval Support System Superior Engineering to maximize your pool. No other manufacturer can provide you with the spacesaving features of the Com-Pac™ II. Beautifully Crafted Top Rails & Vertical Supports Classic 8½” top rails and 7″ verticals provide rock-solid stability and durability. Com-Pac™ II Oval Support System Superior engineering to maximize your pool! No other manufacturer can provide you with the space-saving features of the Com-Pac™ II. Zinc Clad™ 11000 Hot Dipped Galvanizing and numerous protective coatings for protection and corrosion resistance. Beautifully Crafted Resin Top Rails & Vertical Supports Attractive 8″ curved, extruded top-rail system with large 7″ extruded resin vertical supports give a classic finish to this captivatingly beautiful pool. Have a question or would you like someone to contact you? Please call us or complete the form below and we will get back to you as soon as possible.